Stones of Croatia is an exciting new UK subsidiary of Kamen-Pazin. Kamen Pazin have been quarrying Limestone for over 60 years and have extensive experience manufacturing tiles, slabs and all manner of pieces for both private and public projects. Some of the more notable projects completed in recent times are Nancy Plaza in France or the European Commission in Brussels. However, Kamen-Pazin’s most famous work can be viewed in Venice. As Venice sits almost solely on Croatian ‘Kirmenjak Limestone’, all restoration work must be undertaken using the same material. 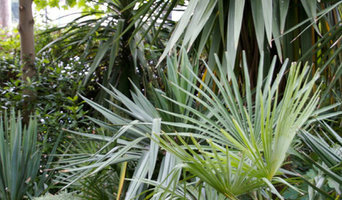 ‘Stones of Croatia’ has over 15,000m2 of UK stock at any given time. UK stocked items include a core range of tiles. These are complimented by an innovative and multifunctional range of 10mm panels measuring 2200×600. To give the complete range we also stock numerous lengths and slabs of the same material along with a tailored cutting service, ensuring we can supply the materials required to finish almost any type of project and to the highest standard. For larger projects or very bespoke pieces we have the facilities in Croatia to produce almost anything upon demand. This includes; Water-jet inlays, book-matching slabs, large split-face elements, exterior and interior wall cladding, dry stone walling etc. CARRcrete for polished concrete floors. 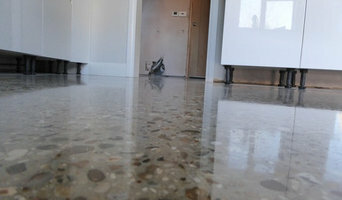 We are a family run business that specialises in diamond polishing concrete floors of all sizes. With our friendly, approachable and professional manner we cater for residential, commercial and industrial clients. Our work is featured regularly on Grand Designs, is installed in Jamie's Italian, luxury hair salons and homes across the country. We are an established Nottingham Paving Company and we've continually used our knowledge and experience to completely transform hundreds of properties around Nottinghamshire, providing a superb combination of both practical strength and visual appeal with each and every paving job we finish. From front driveways complete with brick walls and features to garden patios with beautiful ponds and amazing landscaping, we will provide you with something that is long lasting, practical and visually stunning. Weed free and easy maintenance paving will not only make your life easier but can also add value to your property and enhance its appearance. Choosing the most suitable paving system for your home is very important as it represents a long-term investment in your property. All our work is carried out by our own highly trained team of experienced fitters. More importantly with such scope to choose from, all our products come with first-class service, rapid delivery and a powerful support package that includes expert guidance and technical advice. We have the people, technical tools and practical advice to help you plan, create and most of all enjoy your outdoor space. 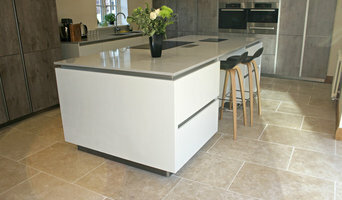 We design and manufacture contemporary polished concrete products. Drawing on our experience, we are able to help you create your dream house, using our vast knowledge and creative approach to concrete. What services can concrete specialists, pavers or stonemasons in Nottingham, Nottinghamshire offer me? As well as pavers, Nottingham, Nottinghamshire stone specialists can supply natural stone wall cladding, provide stone indoor flooring and stonemasons in Nottingham, Nottinghamshire could even handcraft stone fireplaces, create worktops or sinks in stone and design beautiful stone architectural pieces for your home. You can find all sorts of stone, concrete and paving experts with Houzz, so if you fancy some paving indoors or outdoors, or you’d like some stylish stone added to your home, this is the place to find an expert for the job. Browse Nottingham, Nottinghamshire pavers, stonemasons and concrete specialists in our Find Pros section. Compile ideabooks containing images of attractive paving stones, edging stones and concrete paving slabs, as well as clever garden paving and rockery ideas. Make a shortlist of at least three relevant paving experts or stonemasons in Nottingham, Nottinghamshire and then approach them for a free consultation. You can also ask friends and relatives for recommendations. Whatever you do, make sure you have a loose brief and budget, a few questions about things such as maintenance – how to remove heavy stains such as oil or bird droppings for example – plus a few visual references to spark conversation with your paver or stone specialist. Find a stonemason, paving expert or concrete specialist on Houzz. 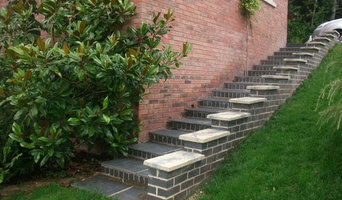 Narrow your search in the Professionals section of the website to Nottingham, Nottinghamshire stone, paving or concrete specialists. You can also look through Nottingham, Nottinghamshire photos by style to find a design you like, then contact the paver or stonemasons in Nottingham, Nottinghamshire that worked on it.